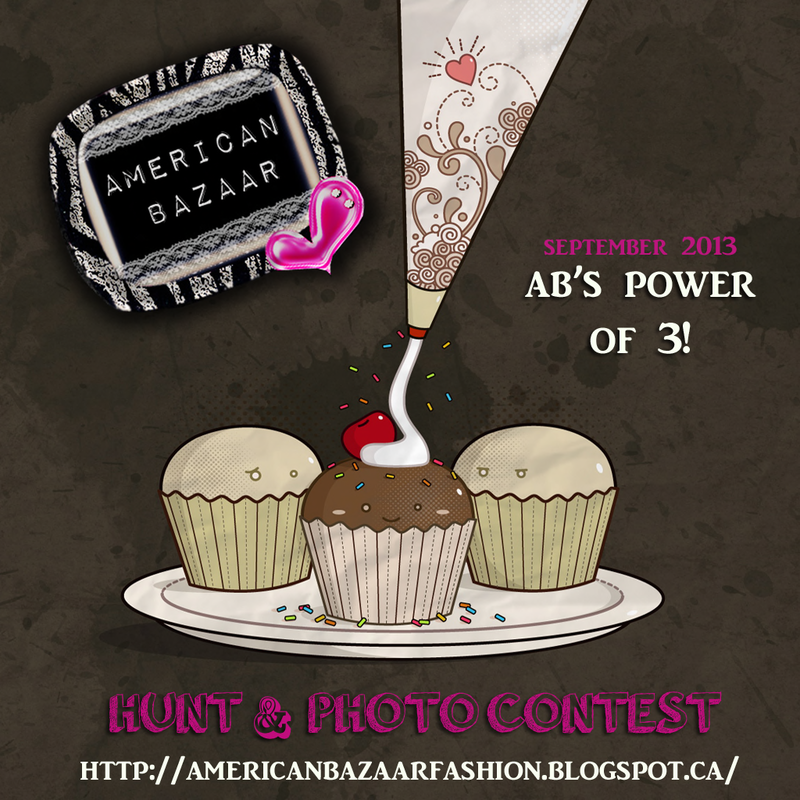 Happy Birthday to American Bazaar! 70% off sale at Elikatira! The Body Co New Years Sale! There are several lucky presents beneath the tree at Earthstones and while I've not been lucky enough to nab one, I'm told they are nice. Head on over and camp with me! :) Also, their group is free to join today! Save $250 and join if you're not already a member! Suicidal Unborn has 3 VIP group gifts available. The VIP group is new, and promises a gift each month to members. There is a one time $300L fee to join. 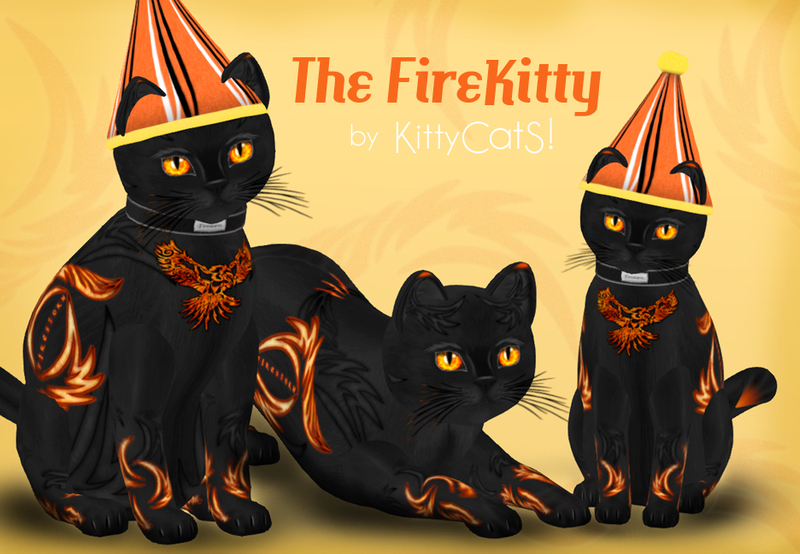 Here are the gifts available for this month. Hidden pumpkins around the store at AMD give you different colors of these cute high top wedge sneakers. Just $1L each! Head on over to claim yours! Careful.. there are decoys! TheBeautifulOnes has a group gift out for fall with some gorgeous colors. Check it out! FATEwear is a year old.. It doesn't seem like it's been that long! Crazy how time flies. As a gift, Fate subscribers got sent out a great gift yesterday and if you aren't already a subscriber you can still get it! Just head over to Fate Island and hit the subscribe-o board and you'll automatically get it sent. Thank you Fate! And Happy Anniversary! I learned today that another role-player from CD also does budget blogging!! From their blog, I learned Riceilli was having a birthday hunt with 20 items around their store just $15L a piece! Included below is a picture of all the items you can get if you want to pick and choose or grab all. Head over to Riceilli and hunt now! And TP >>here<< to grab some cute items! Scouring the marketplace and other blogs dedicated to it, I came up with some great deals for ya. Check 'em! ALL items are either free or $1L regardless what it states on the photos. 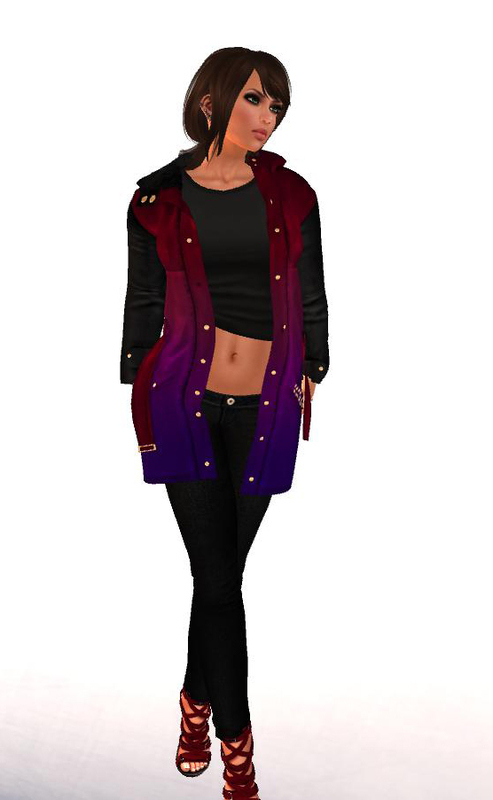 ... but I'm slowly getting back into my blog and being in SL fulltime again. Most of the time I'm still RPing but I'm finding time for other things and this will hopefully be updated more often. In the meantime.. got some stuffs for ya. Check it. This one has a gift for boys and girls! These shirts are from Ayashi. They are group gifts and the group is free to join. 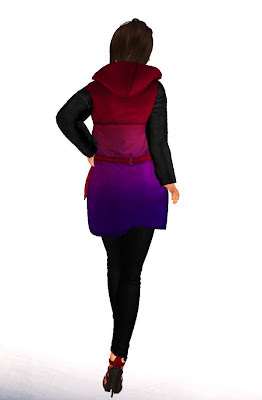 Complete outfit is a group gift from Pins&Needles. Free to join, completely mesh! I'll try to roam the grid and find more stuff for ya later today! The Loft is a very nice furniture store and they are currently having a 50% off sale. Check it out! 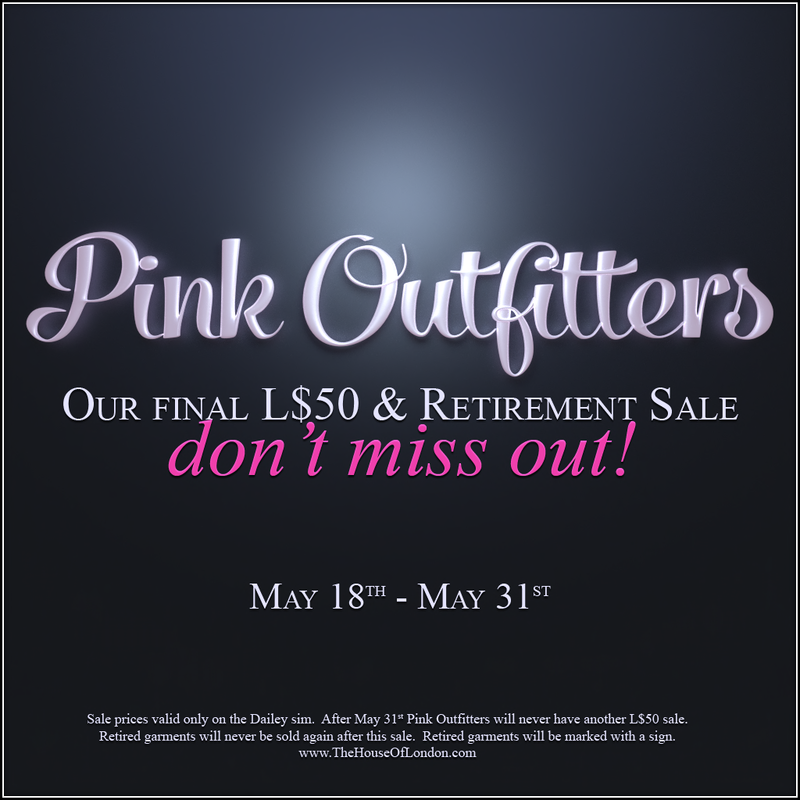 Pink Outfitters is having its final $50L and retirement sale. 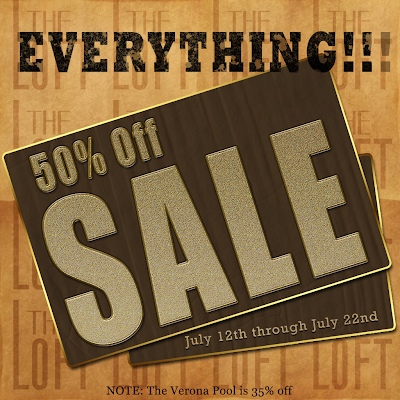 Everything in the store is marked down to just $.50L from now until the 31st. 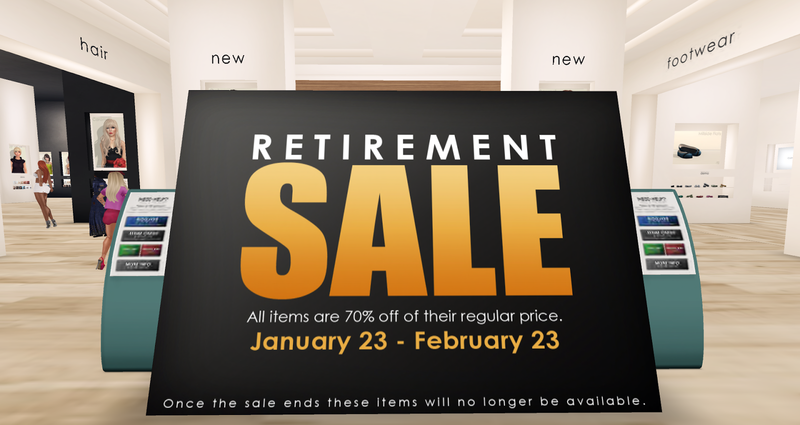 Head on over to get what you want before it's no longer available! Click >>here<< for TP. Those of you who love The Sea Hole (and who doesn't, really?) might be very saddened to hear that they are closing their doors at the end of this month. They said in their farewell post that it was due to wanting to spend more time on RL adventures. Whatever the reason, it's sad news and they will be dearly missed. The sign says it all! 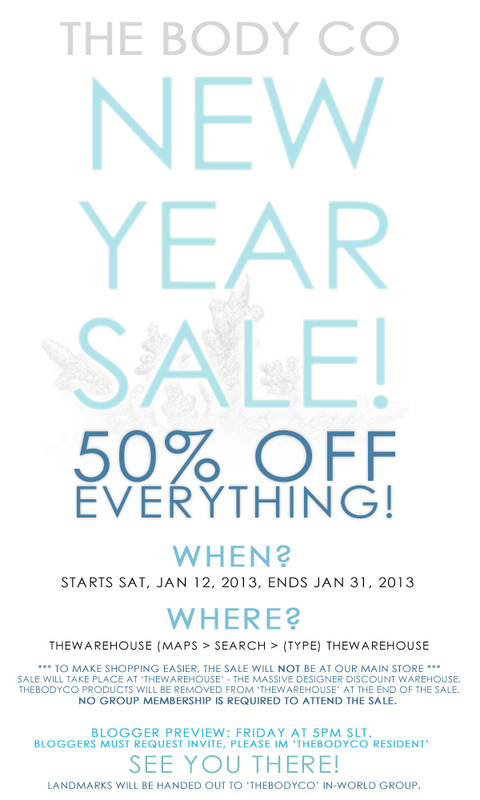 Head over to Elikatira to take advantage of this awesome awesome sale! Ad says it all. Opens tomorrow. Get your taxi here!